Slip-on compression elbow sleeve to provide compression and support for mild injuries. It might be a small joint in the body, but elbow pain can cause significant irritation and distract you from day-to-day activities. The DonJoy Advantage Elastic Elbow is a lightweight, slim compression sleeve to ease elbow soreness associated with elbow swelling, tendonitis or mild sprains and strains. The elastic knit material provides compression to help reduce swelling and doesn't constrict movement so you can participate in your favorite activities in complete comfort and support. 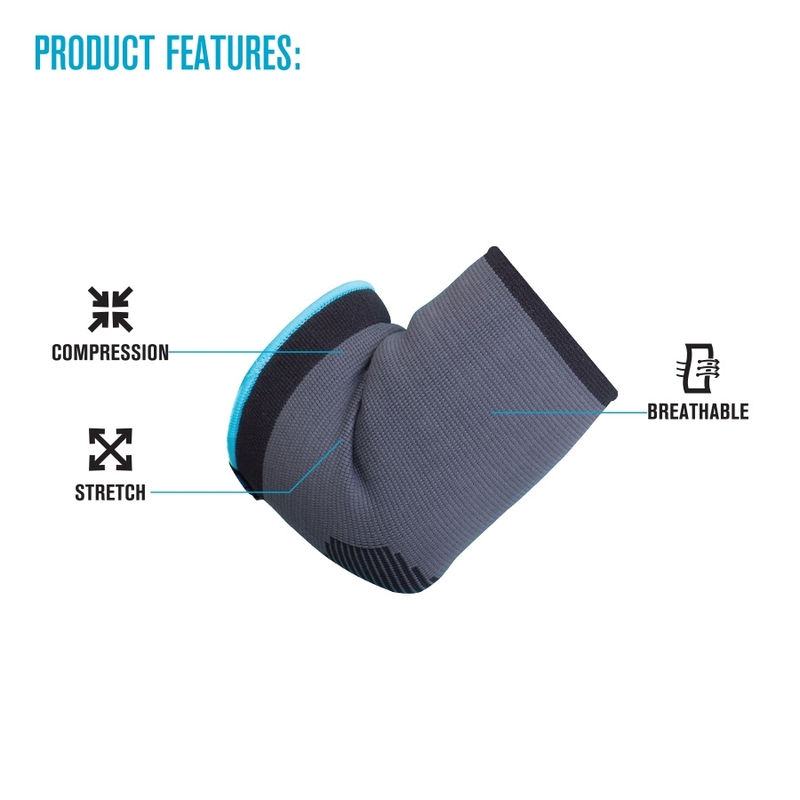 The DonJoy Advantage Elastic Elbow is a lightweight, low-profile sleeve designed to provide compression and mild support. The breathable, 4-way stretch knit keeps the elbow cool when moving and helps ease pain, swelling or stiffness that's associated to mild sprains, strains, swelling or tendonitis. Whether you participate in a sport, lift objects (like groceries or boxes) or work on a computer, the Elastic Elbow will help keep aches and pains at bay so you can go about your day in complete comfort. Slip your arm into the sleeve and slide the sleeve up and over the elbow. Make sure your elbow is centered in the colored compression zone. Sleeve should be snug but not too tight to impair circulation. Adjust as needed. Slip your arm into the sleeve and slide the sleeve up and over the elbow. Make sure your elbow is centered in the black design. Adjust as needed. Great brace for tendonitis, lightweight but effective. Nagging tendonitis limited walking even without a brace, it hurt to hang my arm, and curtailed my gym time. The brace let me ease back into yoga and lifting light weights while improving!